Do a hard reset by pressing and holding both the Sleep/Wake button and the Home button simultaneously for about ten seconds until you see the Apple logo. You may try restoring your iPhone. It’s possible that your iPhone 4S’s battery was damaged due to the water. Since your iPhone 4S is an older model iPhone, go to a local repair shop and ask them to test a new battery for your 4S. I’m sorry to hear that you’re having problems with your iPhone 4S overheating when playing games. 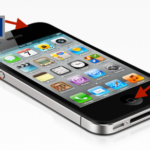 Take a look at our newest article on iPhones overheating and see if these tips help you out. Although the article is geared to newer iPhones, many of the tips work for older models such as yours. When i connect my iphone 4 in charging after 3/4/5 minits later its seem to me temperature …. I try all things and restore also but this problem is steel now …. What have to do … Somebody please help me …. Just got a used 4s for my husband and it gets so hot just sitting, both front and back, doing absolutely nothing that I can’t even touch it. It’s in a small case so there’s no restriction of airflow. I’ve done a full erase and restore, reset everything, turned everything off that can be turned off, and the problem still exists. Any new fixes for this issue??? My own 4s is fine, cool to the touch unless I’m heavily using it while it’s charging. Hi. My iphone 4s is getting too hot. I turned it off then i plug it with my wall charger. And its charging. 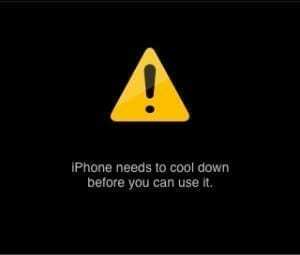 After a few minutes when i get my phone its too hot, very hot and i cant open it until now. I plug the charger again and theres no sign that my phone is charging. What should i do? Any body can help me problem is, it is i phone 4s, when phone is in charging it all ok and when playing game,calling and using all ok but when phone is leave (not using) after 1 to 5 minute phone will be auto restart. It is hardware or software problem and what is solution? please……..
3 Rs can probably help you. Reboot, Restart and Restore. Please use your computer to restore.Definitely appears to be software related. What version of iOS are you running and when did you upgrade? Anybody can give me solution please? My 4S running OS 8.4.1 started running hot with rapid battery drain. I deleted recent app additions with no success. I read that some had “fixed” by deleting their mail & calendar setup then restarting. I deleted my Gmail mail, contacts, & calendar account then cycled phone off & back on; reinstalled Gmail setup. No problems in 4 days since. Battery drain is back to what is was previously. i have buy a new apple 4s,i’m charging the mobile on above 100% it’s over heating and now my mobile not working….it’s nothing or any major prb??? My 5s was overheating for 3 days and eating up battery life. I finally checked for system updates and found there was one that is aimed at music – or so it says. I updated the phone and the problems disappeared. I am not sure if the software update fixed things or if the phone being shut down after the update was loaded fixed the issues. My iPhone 4S (just 2 years old) overheat and becomes like an oven during charging. It starts displaying red temperature warning bar just after 10 min of charging. I am not able to use it anymore. The problem has started by its own, without even doing any software updates. This is a serious design flaw. I suggest that iPhone should not be purchased till the company resolve this problem. Very disappointed as the iPhone is a very expensive investment. IPHONE HEAT ISSUE SOLVED: Here’s exactly what to do….follow these steps EXACALLY and 95% of you should be able to overcome the overheating/warming up issue. Works for 4, 4s, 5, 5s on ios 7.0 and up. 1. On desktop PC/Mac open iTunes, plug in iphone, go to backups, DELETE all saved backups. 2. Unplug iphone from iTunes, Plug WALL CHARGER in and charge phone to 100%. Once fully charged, go to Settings – General – Reset – Erase All Content and Settings. This will delete everything and restore to factory condition. 3. Phone will reset. Follow Welcome screen instructions. Once home screen appears, plug into iTunes. Setup as NEW IPHONE. Go ahead and load up your music, etc. Then unplug from iTunes. 4. Soft reset your phone (hold down home & power button at the same time until apple logo appears). 5.Start using your phone like you normally do, BUT make sure your battery COMPLETELY drains and phone shuts off. YOU MUST DO THIS 2 TIMES. DO NOT BE TEMPTED TO PLUG IN WHEN IT RUNS LOW. IT MUST COMPLETELY DRAIN & SHUT OFF BY ITSELF!! Once you complete 2 discharge cycles…you will be good to go and should not notice any more heat issues. 6. If there are any future heat issues (ie: iOS software update) complete the above steps again if you notice any heat issues returning. I tried this solution, it resulted in complete death of battery, As I suspected the battery was the issue I put in a brand new battery. It drained as well, so I tried this method again. This also resulted in a completely dead phone that won’t wake up even though I put it in the charger. The only thing I get is the empty red battery symbol, nothing else, even though I put it in the charger over night. Please help! has anyone tried this method above ? My iphone 4 is getting overheated and can’t charge it cuz it gets so hot! Don’t know what to do? same here, my iphone 4s overheated while charging, to the point of throwing up a temperature warning…..would not function until cooled down 🙁 first time it has done this, have had the phone almost a year. sir, i am using apple iphone 4s with upgraded os 7.1.1. Now i had a overheating problem on my phone while using camera with video option. please give me a good suggestion to rectify the problem to avoid overheating and loosing battery. I have never had a mobile overheat like this. It was only 29 Celsius and phone was on a white surface. Overheated to point of not running. This is a serious design flaw. Now have to consider another phone for deployment. Guess the iPhone is only good for cooler western climes. It should not be purchased by any people who live in tropical regions. Very disappointed as the iPhone is a very expensive investment. my white ipod touch keeps popping up with temperature every few minutes and i cant even finish listening to a song or typing something with out it popping up, can someone help me, i only got it on August 29th 2012, and i have tried deleting all my apps that i have downloaded but it kept popping up, what do i do? Disable 3G. Browsing. That’s the real culprit under normal use. The other culprit isn charging the phone. Both culprits are normal so no worries. And oh. But a cover for it if I don’t like to feel it hot.